Our text-books have many and valued symptoms laid down, said to be found and observed in hernia. And it may be said to be the slough of despond for students, and young practitioners alike. I remember of old, when at my studies at college, how hard it was to understand the obsolete term of hernia, and how many weary hours were spent by us in wrestling with this hydraheaded monster. Last summer I had the honor to be a representative from the Rhode Island Homoeopathic Society to the Vermont Society, which held their meeting in Montpelier, Vt., in May, 1892, and my reception, which I have reason to remember, was very pleasant, indeed. An old man, 73 years of age, having had phthisis for a number of years, although attending to his regular occupation, for forty eight hours had a slight swelling in the left inguinal region. Dr. Lance, when summoned, forty-eight hours before, diagnosed hernia which he was positive he had reduced by traction, it making the characteristic gurgling sound when reduced, this small swelling remaining about the size of an egg. The patient vomiting almost incessantly with the severe pains in the left inguinal region. After we had examined the swelling we adjourned to the parlour and commenced our deliberations. Certainly we had a peculiar case to deal with. Many varied and ingenious methods were used by the different physicians present to make the diagnosis, but all to no avail. 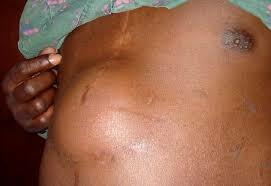 The majority diagnosed hernia strangulation. Now, the disease being diagnosed, the question was asked, “What is the treatment?” It was suggested that the bowel be filled with tobacco smoke, but inasmuch as the man had been is this condition for so long a time it was considered inexpedient. In fact, there were as many remedies suggested as there were people present. One of the doctors suggested, and with great emphasis almost demanded, an operation, which was not acquiesced in by any one present, his reasoning being that inasmuch as traction had been of no avail, and as the bowels had been strangulated for some forty-eight hours, death must certainly ensue in ten hours more, hence nothing could be lost providing the operation was not a success. The next question was who would operate? The older men present, considering an operation inexpedient, refused to have anything to do with it, consequently the affair was left with Dr. Lance and myself. However, before the older doctors departed, they suggested that we send thirty miles for an old-school surgeon to do their work. This suggestion was treated with disdain by Dr.Lance, who declared, rather than do so he would operate himself, although he did not feel competent to do so. At this time the delegation left the patient in our hands, but not without many misgivings. The vomiting continued incessantly, and the doctor departed after his instruments and necessary dressings. After about one half an hours, Dr.Lance returned well prepared, with Dr. Boardman, also of Montpelier, and another whom I do not remember. Dr. Lance and myself performed the operation in the following manner: Having etherized the patient, the belly was washed with sublimate soap, and washed again with sublimate solution, 1 to 2000. We made a parietal incision three inches in length, parallel with the ribs and over the swelling; cutting through the skin and adipose tissue; the facia was divided on a grooved director, and the bowel, which was found black in spots, was revealed. After examination it was found why thee traction resulted in no good, because the bowel had pushed itself under Poupart’s ligament instead of over it. And after breaking up slight adhesions, it was pushed into place, making a gurgle in its descent. The perineum was stitched together with catgut ligature by a saddler’s suture, and the same through adipose tissue and skin. After washing the wound with solution of sublimate, 1 to 2000, it was covered with two thicknesses of cotton, and the whole tightly bound with roller bandage. The vomiting, which had been a very troublesome symptom and also a persistent one, had stopped. The patient was replaced in bed with hot bottles at his feet, covered with blankets, and left to his dreams. Early the next morning he was seen, and was found to be in a very comfortable condition; pulse 75, temperature normal, and some appetite. It was found that after the operation he had rested well during the night. An enema of 31 milk and brandy once in four hours. May 25. Pulse 75, temperature normal, appetite better; had drunk considerable milk and coffee. Rectal feeding was stopped; had two natural movements of the bowels during that day, and at night was very cheerful indeed, and complained of no pain or soreness. May 26th, Pulse, 75; temperature, 99 1-5. Appetite good. He still remains very cheerful. During the night had rested well, having ordered a sponge bath before retiring. This day he had two natural movements of, the bowels. May 27th. The symptoms remained the same as the day before. May 28th. The patient had all the signs of rapid convalescence. Pulse and temperature normal. Appetite good. And one movement of the bowels. May 29th. Same general symptoms prevailed. It being the fifth day after the operation, the wound was undressed and found to be perfectly healed. No sensitiveness to the touch. The surface was again washed with a solution of sublimate and redressed as before. May 31st. At six a.m. the patient was seen and found as usual; considered him out of danger. At 10 p.m. was hurriedly called, and found the patient in a critical condition, thee cause for alarm being a severe haemorrhage of the lungs, from which he died in thirty minutes after arrival. On opening the abdomen no black or discoloured spots were. Found on the gut that was seen at the time of the operation, they having disappeared. The bowel was in a normal condition, the wound entirely healed, and in fact, the results of the operation an entire success. The cause of death was due to the haemorrhage of the lungs alone. This case is reported to show how often a life is sacrificed by the too timid surgeon being afraid of the consequences. And I think that many a life might have been saved had the surgeon done his duty. Not that I advocate heroism particularly, but I certainly advocate a surgeon or physician doing his duty, his whole duty, toward his patient. Providance, R.I. EDGAR C. GATES, M.D.